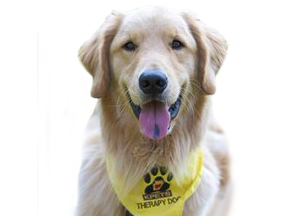 I joined KPETS (Keystone Pet Enhanced Therapy Services) to help make a difference in people’s lives and to bring joy to them through my dogs, Chloe and Echo. What I was not prepared for was how I would become so profoundly affected by some of those people and how losing them would have such an impact on not only my life, but that of my dogs’ lives as well. Chloe, Echo and I have been visiting Manor Care Health Services in Elizabethtown for the past several years. We always enjoy our visits with many individuals, but there are a few people who we hold very dear in our hearts and one of those so dear to us, Joe Brown, recently passed away. We remember the very first time we met Joe. His eyes lit up at the sight of Chloe and his smile reached ear to ear. He told us a story about his first dog and how dogs have always been a huge part of his life. Chloe and I continued to visit with Joe on a regular basis and it was about a year later when Joe met my second dog, Echo. Echo loves to entertain and Joe enjoyed her antics and rewarded her with treats. Chloe is the quiet one and Joe would always give her a treat as well, telling her she deserved a treat just for being so sweet. He was very much a dog lover and it reflected in the way he treated my girls with his gentle touch and caring words. Of course, they were not just “my” girls; they were Joe’s girls too. The girls knew exactly where Joe’s room was and as soon as we would turn the corner to his hallway, they pulled relentlessly until they were by his side. Echo would immediately give a bark in greeting and Chloe would nudge Joe’s hand with her nose. Over the years we enjoyed sitting with Joe as he petted the girls and told us his stories from his childhood and about the war that he fought in with the U.S. Coast Guard. Some of his stories made me laugh out loud and others brought tears to my eyes. Joe said we were the bright spot in his week every time we came to visit, but the truth is Joe was a bright spot in our lives and found a place deep in our hearts. Our first visit after losing Joe was a very difficult one for Chloe, Echo and I. As we turned the corner of his hallway the same routine began. It was hard to walk past Joe’s room and to have both Chloe and Echo look at me with confusion when we did not enter. They did not understand why we were not going to visit their friend Joe and it broke my heart. A few days following that visit, I took the girls to visit Joe’s grave. I truly believe they understood that their friend Joe was no longer with us because they sniffed his grave and both sat by the freshly placed earth in total silence, both looking to the sky as if to say “goodbye” to their dear friend. Thank you, Joe, for showing us so much love and for being a part of our lives. We miss you and will never forget you.